1022 West 26th Street, Houston, TX 77008 | Martha Turner Sotheby's International Realty, Inc.
SHADY ACRES GEM WITH GATED SIDE ENTRANCE JUST OFF W. 26TH STREET WITH EASY ACCESS TO 610 & I-45. 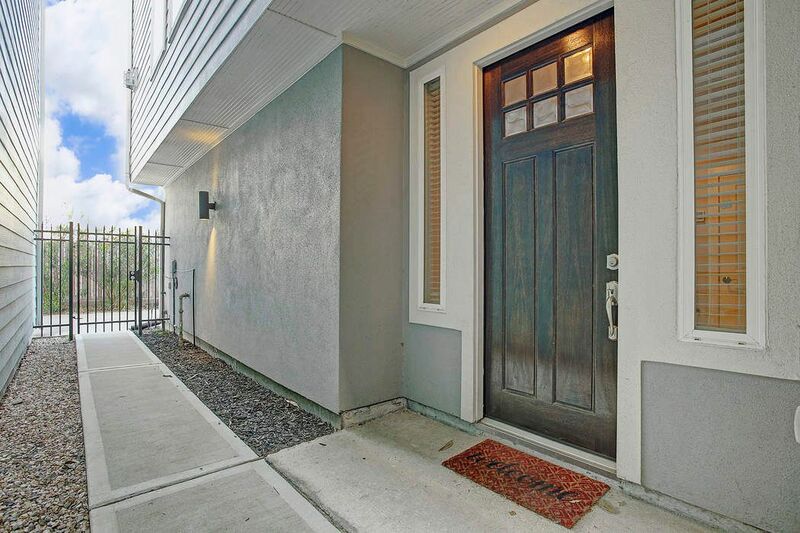 CHARMING EXTERIOR BOASTS STONE, STUCCO & CEMENT BOARD WITH ACCENT LIGHTING. CITY LIVING AT ITS BEST CLOSE TO ALL THE HEIGHTS HAS TO OFFER. PRIVATE SIDE ENTRANCE TO WELCOME YOUR GUESTS. STATELY FRONT DOOR WITH SIDE LIGHTS PROVIDES WARMTH. RIVER ROCK FLANKS THE WALK AND PROVIDES DRAINAGE. WELCOMING FOYER HAS STONE TILE LEADING TO THE STAIRWAY WITH WROUGHT IRON SPINDLES AND WOOD TREAD STAIRS WITH WHITE RISERS. A CRISP, CLEAN LOOK. NOT SHOWN IS THE UNDER-STAIRS STORAGE CLOSET WITH TERRIFIC SPACE. 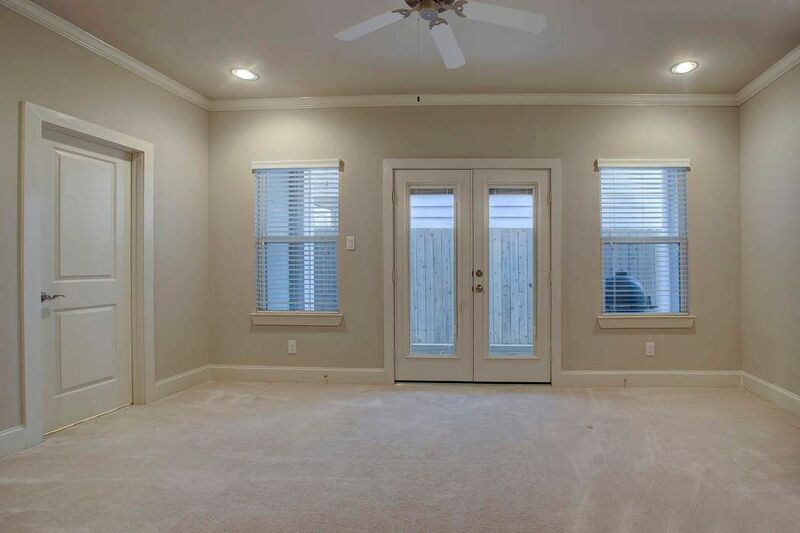 HUGE DOWNSTAIRS BEDROOM HAS DOUBLE DOORS WITH BUILT-IN BLINDS TO COVERED PATIO. 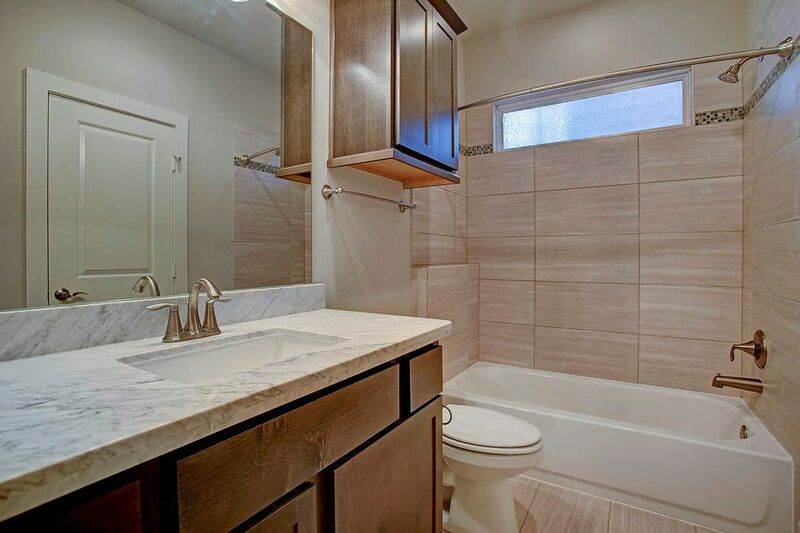 EN SUITE BATH HAS BEAUTIFUL FINISHES AND A NICE SIZED CLOSET. CEILING FAN TO KEEP YOU COOL AND WINDOWS FOR NATURAL LIGHT. DOWNSTAIRS EN SUITE BATH WITH GORGEOUS FINISHES BOASTS NICE STORAGE, ON-TREND RECTANGULAR TILE AND LIGHT STONE COUNTERTOPS. NOW TO THE SECOND FLOOR. LOOK AT THAT SPACE! 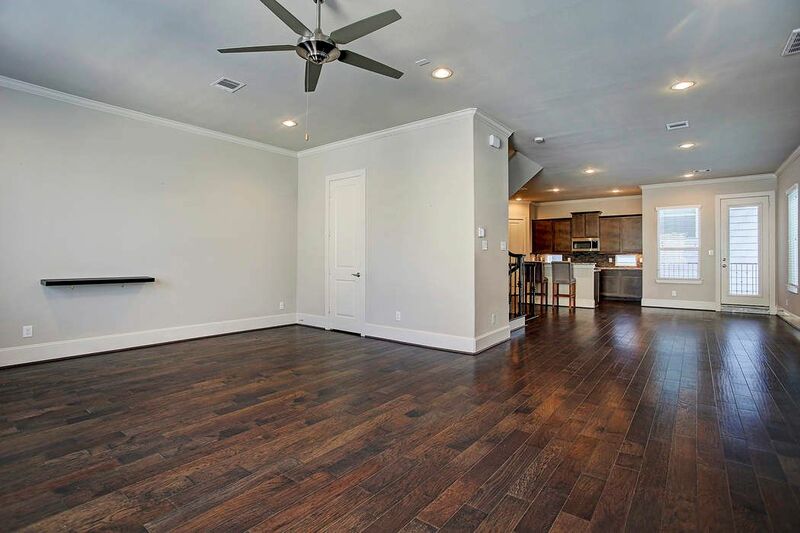 GLEAMING WOOD FLOORS GRACE THIS SPACE AND PROVIDE A WARMTH. THE OPEN CONCEPT PROVIDES MANY OPTIONS FOR PLACEMENT OF DINING AND LIVING AREAS. 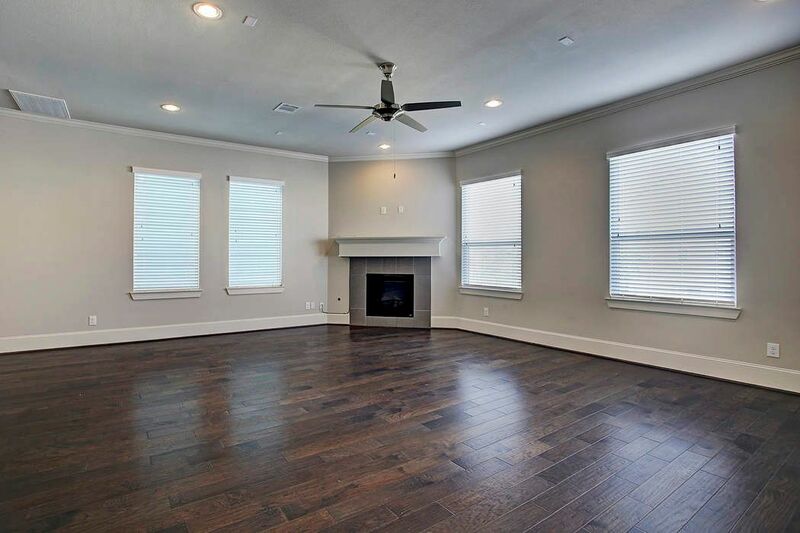 HUGE LIVING AREA HAS GAS LOG FIREPLACE WITH GRAY TILE SURROUND, CEILING FAN AND TERRIFIC FLOOR PLAN UTILITY. 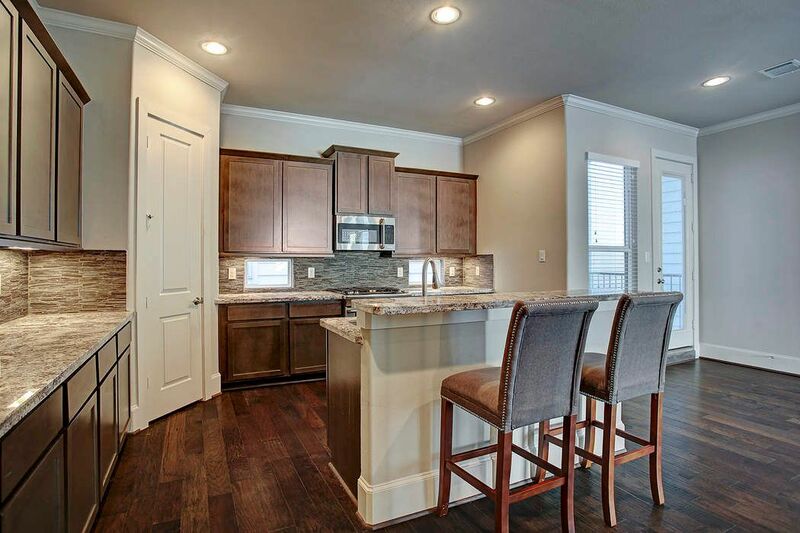 SLEEK ISLAND KITCHEN HAS STAINLESS STEEL APPLIANCES, WOOD FINISHED CABINETRY, UNIQUE STONE BACKSPLASH AND WALK-IN PANTRY. LOOKING BACK AT THE LIVING SPACE YOU CAN SEE THE EXPANSE OF THE SECOND FLOOR. THOSE HARDWOODS ARE JUST SO ATTRACTIVE! THIS VIEW SHOWS THE LIGHT GRANITE WITH ITS DARK ACCENTS ALONGSIDE THE STONE BACKSPLASH THAT ADDS DEPTH AND TEXTURE TO THE SPACE. 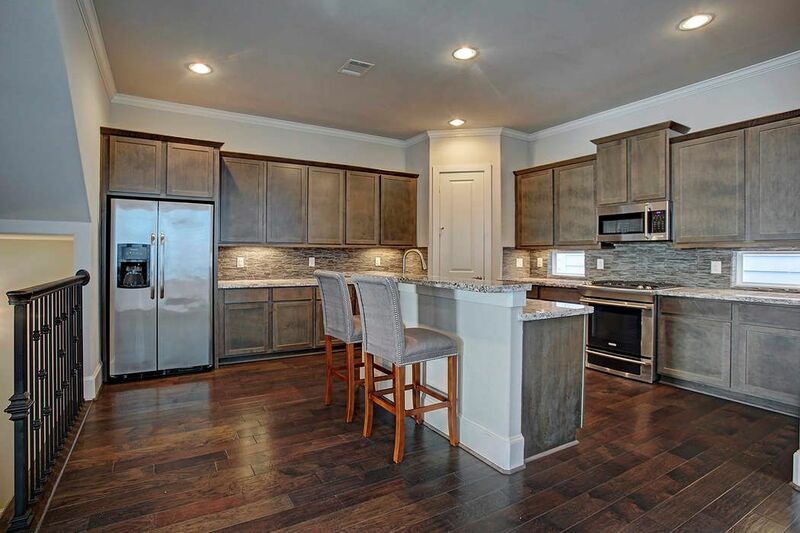 JUST IMAGINE ENTERTAINING YOUR GUESTS FROM THIS KITCHEN. FROM THIS VANTAGE POINT YOU CAN SEE THE WALK OUT TERRACE JUST OFF THE KITCHEN. 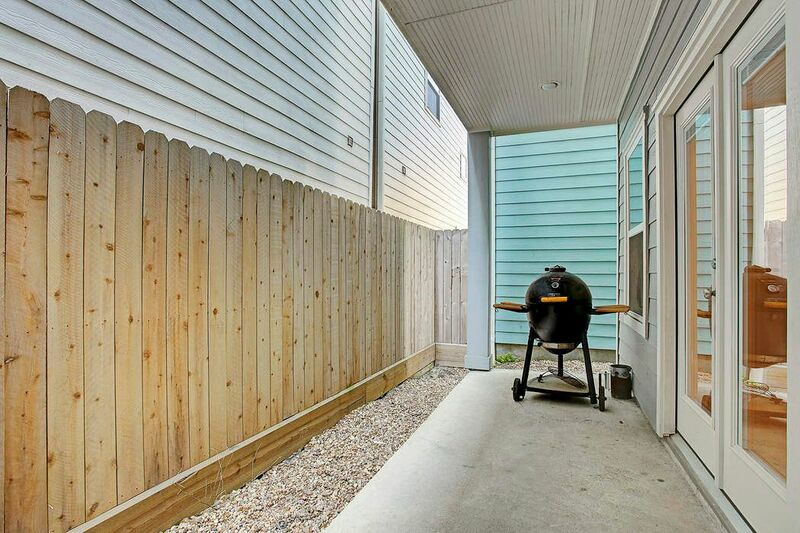 YOU CAN GRILL OUT OR JUST SIT AND ENJOY A BEVERAGE THERE. A TERRIFIC ENTERTAINING OPTION! 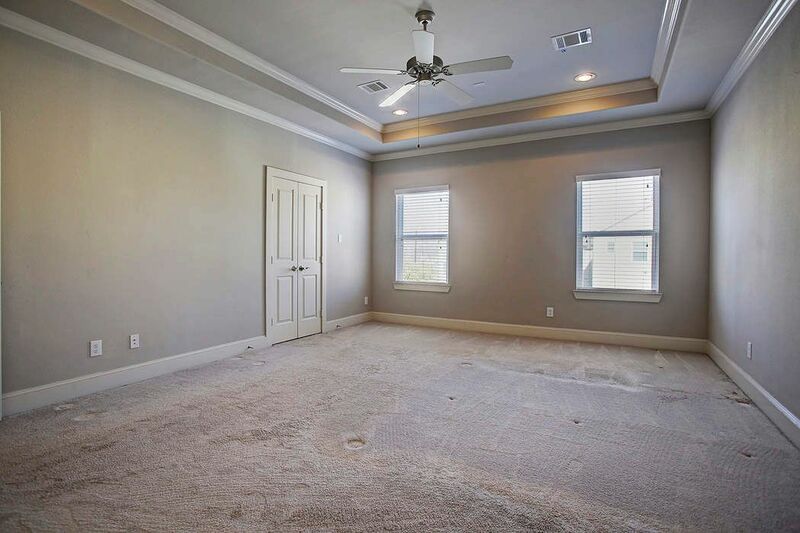 SPACIOUS MASTER WITH TRAY CEILING DOUBLE WINDOWS AND CEILING FAN. 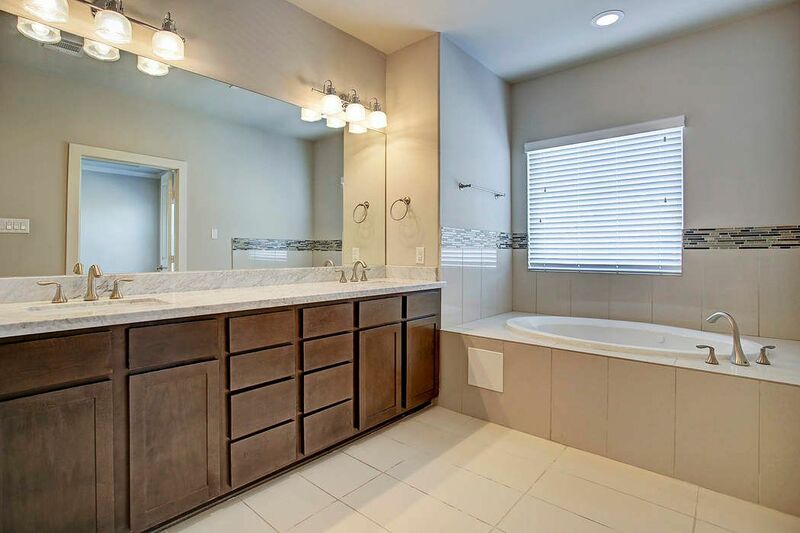 THIS MASTER BOASTS DUAL CLOSETS, EN SUITE LUXURY BATH AND ROOM FOR SITTING AREA. 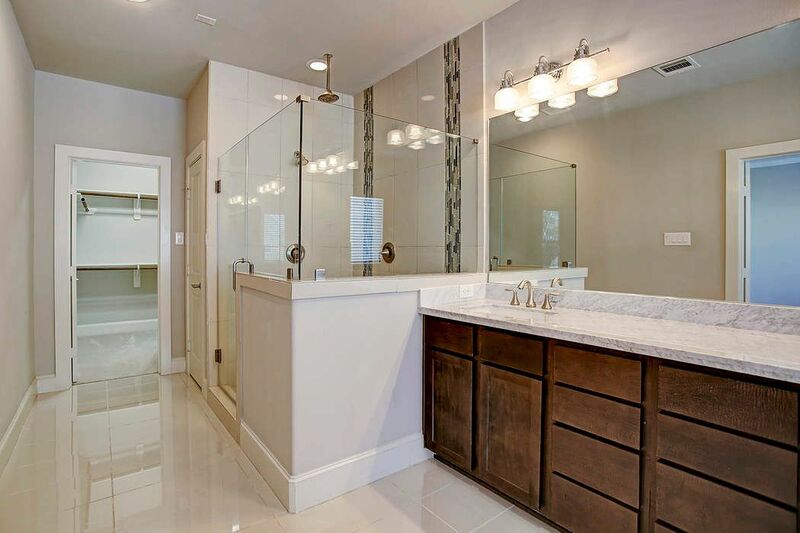 RELAXING MASTER BATH HAS LARGE SOAKING TUB, ACCENT TILE WORK, LIGHT GRANITE COUNTERTOPS WITH UNDERMOUNT DOUBLE SINKS AND RICH WOOD CABINETRY. ALTERNATE VIEW OF MASTER BATH SHOWS LARGE SHOWER WITH RAIN SHOWER HEAD, ACCENT TILE, DOOR TO WATER CLOSET AND ENTRANCE TO ONE OF TWO MASTER CLOSETS. SECONDARY BEDROOM ON THIRD FLOOR HAS EN SUITE BATH, CEILING FAN AND NICE CARPETING. SECONDARY BEDROOM EN SUITE BATH HAS ON-TREND TILE, COMBINATION TUB/SHOWER, UNDERMOUNT SINK WITH LIGHT GRANITE AND QUALITY WOOD CABINETRY WITH HEAD KNOCKER FOR ADDITIONAL STORAGE. HERE'S A BONUS! A STUDY! 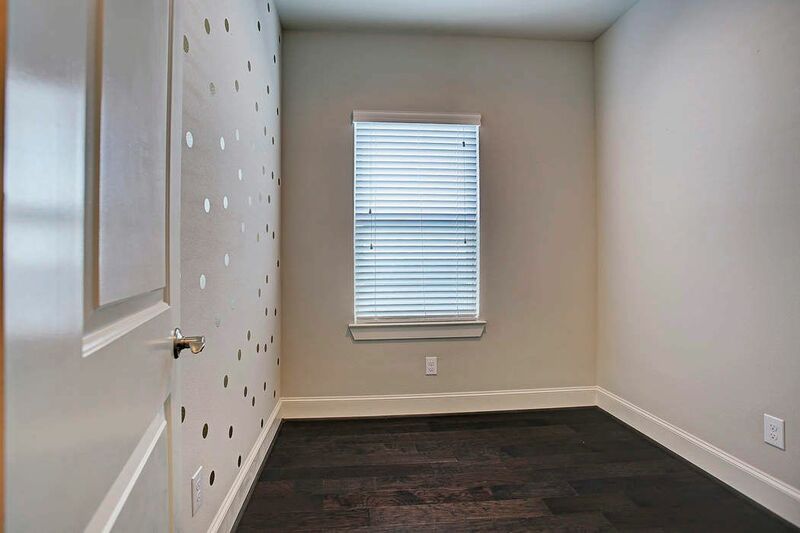 THIS ROOM PROVIDES A SPACE TO WORK OR PLAY ON THE SAME FLOOR AS THE MASTER SUITE. IF YOU DON'T NEED A STUDY, THEN HOW ABOUT A NURSERY, EXERCISE ROOM OR CRAFT SPACE. OUTDOOR SPACE JUST OFF THE FIRST FLOOR BEDROOM PROVIDES A TRANQUIL SPACE TO SIT OUT, GRILL OUT OR JUST CHILL OUT. 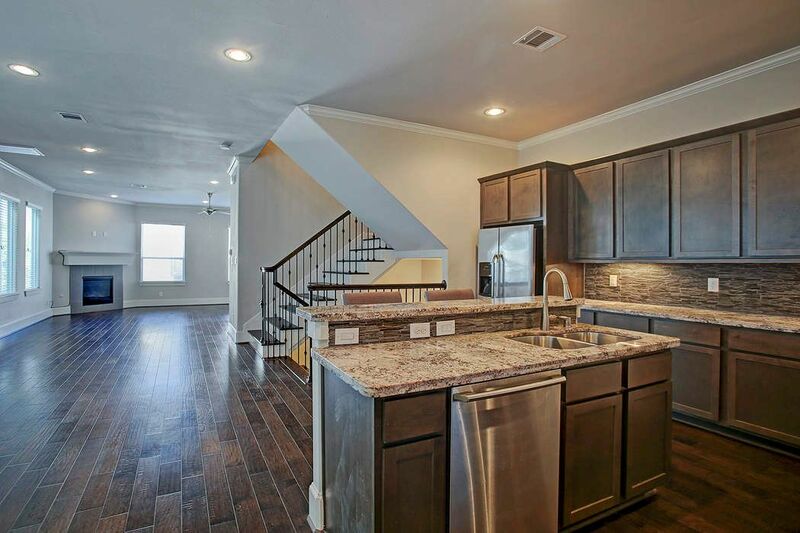 $410,000 3 Bedrooms3 Full / 1 Partial Baths2,680 sq. ft.
City living in the Heights! 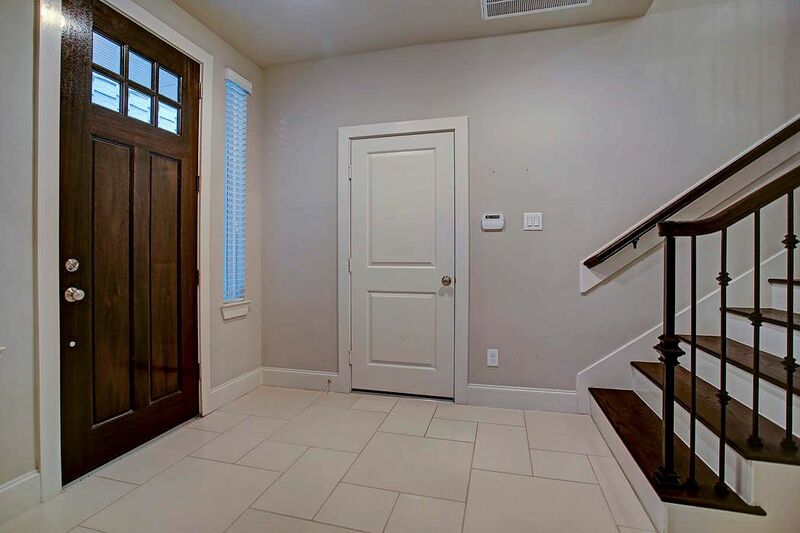 Private side entrance opens to a welcoming foyer to greet your guests. Downstairs offers a huge bedroom with en suite bath and double doors to a private patio. 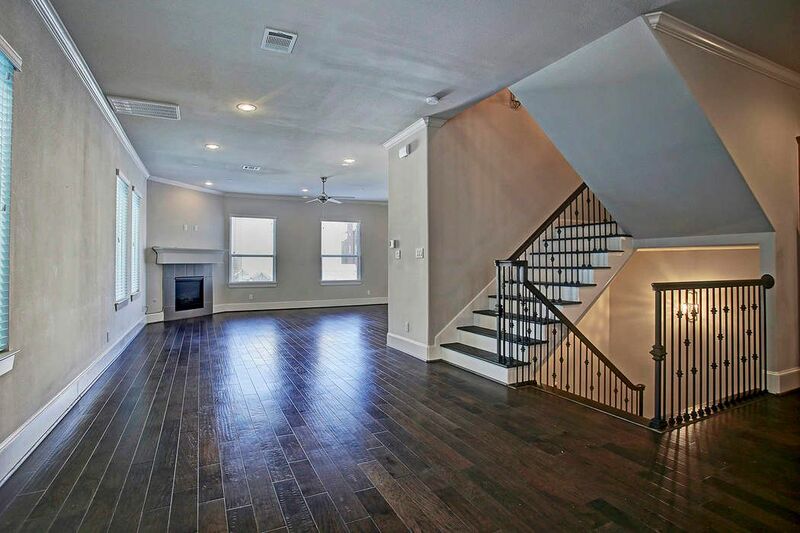 Entire second floor makes up the living area with gorgeous hard wood floors, powder room and gas log fireplace with on-trend gray tile surround. Sleek island kitchen boasts ample storage, open concept for entertaining and terrace access. 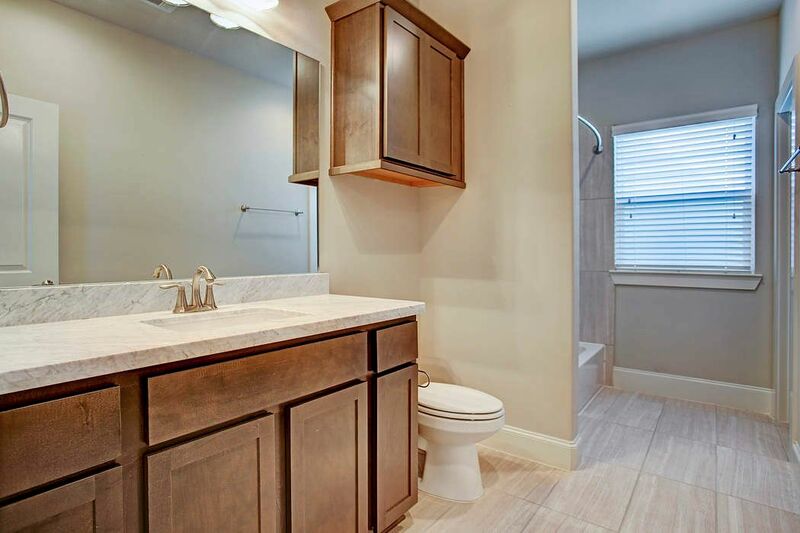 Third floor includes a huge master suite with dual closets, luxury bath with soaking tub and large shower with accent tile and rain head fixture. 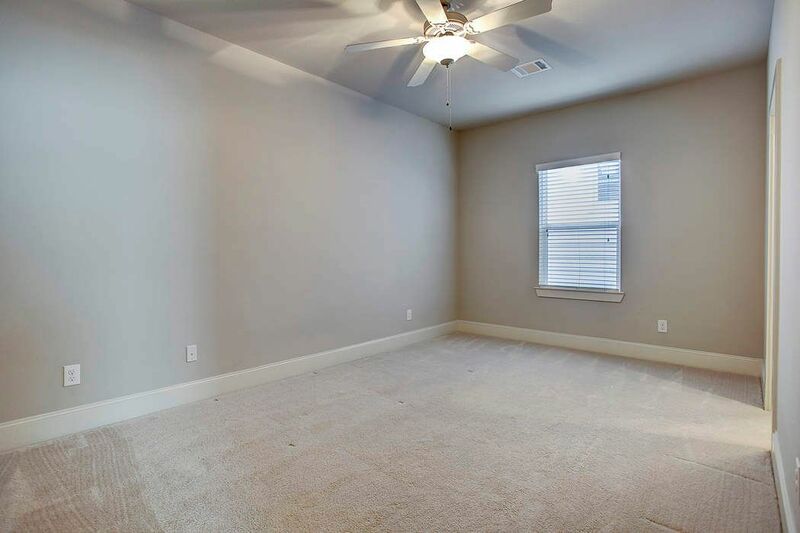 Secondary bedroom has ceiling fan and en suite bath. An extra bonus is a study on the third floor. 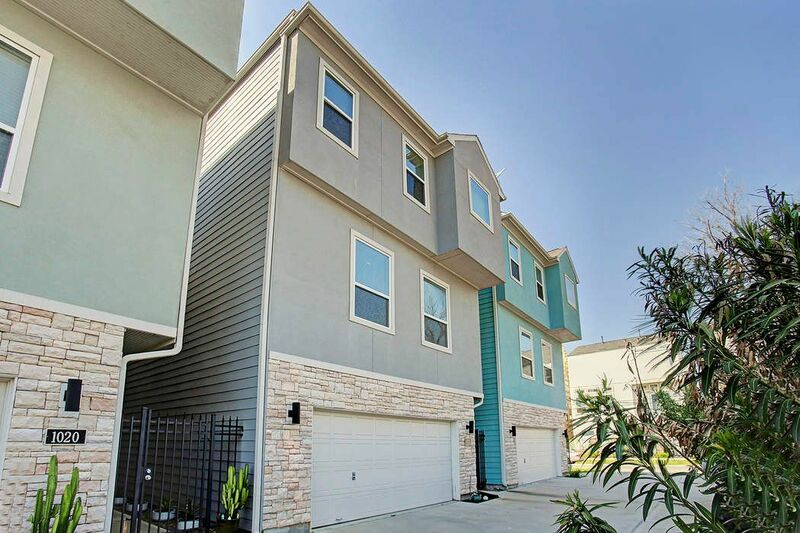 Some amenities include beautiful wrought iron spindles on staircase with wood treads, ceiling fans in all bedrooms, incredible storage, tray ceilings in master, natural light and high quality finishes. Be close to all that the Heights has to offer.